A divorced professor, Marilise, struggles with an unintended pregnancy from a foolish one-night stand. When her high school sweetheart, Tommy, shows up as a student in her class, she’s scared to get involved. He’s a short-tempered homicide detective working on a case where a sportscaster is accused of shooting his ex-wife. Tommy is attracted to the new Marilise. She attends the sportscaster’s trial to see Tommy testify. In the bathroom on a break, she overhears a thug threaten a woman juror to vote not guilty. 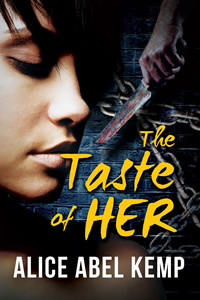 She tells the judge and becomes a target and a risk to a local politician’s plans. Tommy and Marilise rekindle their relationship while he attempts to protect her. Can their new relationship survive the threats and will he accept her pregnancy? I’ve been working on this story since 2007, maybe? It was a finalist in the RWA chapter Daphne Du Maurier Contest for Excellence in Mystery/Suspense, sponsored by the Kiss of Death in 2013. The mad dash to get it out this week involved doing the final edits last Sunday afternoon. But we got it done, and the owner/editor, Debby Gilbert, at Soul Mate Publishing did an amazing job. Please, tell me what you think of the cover and the story.